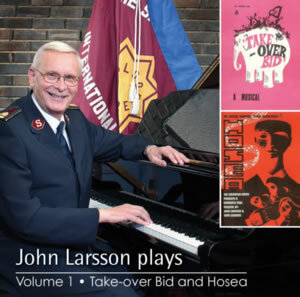 I am grateful to the International Staff Band for recording this CD to mark the 50th anniversary of the first Gowans and Larsson musical Take-over Bid. I believe the recording will be of interest to many not only because of the brilliance of the playing but also because of the way that it features our musicals and songs. 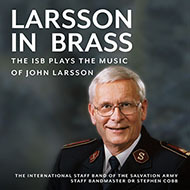 The 16 tracks are by some of the most outstanding arrangers past and present of Army brass music. They range from major overtures of our musicals to items based on single melodies, and from exquisite devotional numbers to sparkling cornet and trombone ensembles. Thirty-nine of my song melodies from the musicals and beyond are featured in one way or the other on the CD, and the booklet contains the lyrics of them all. 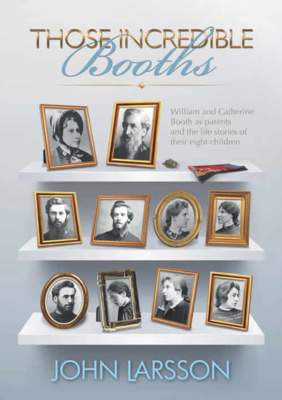 'Outside the pages of Charles Dickens,' writes Harold Begbie of the Booth family, 'no such household ever existed, nor in any suburb of London has a more remarkable family ever been gathered under one roof.' John Larsson tells the story of this amazing family. 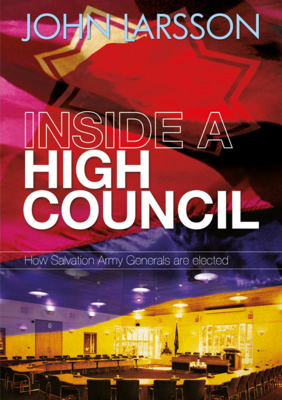 A fascinating factual and human interest account of what takes place when a High Council meets to elect the Army's next world leader, which draws on the recollections of previous Generals and little-known historical data. In 1929, a constitutional storm that had long been gathering suddenly burst, sweeping from office General Bramwell Booth, the son and successor to William Booth. 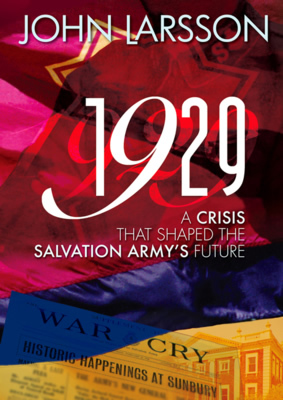 For the first time the full story of the crisis, with all of its astonishing twists and turns, is told by a Salvationist author. 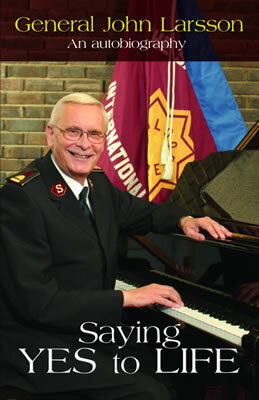 'Saying yes to all that is good in life has been my aim', writes the author in this account of his life story, in which he shares his reflections about serving as an officer for nearly 50 years, participating in some key turning points in Army history, and creating 10 full length musicals with John Gowans. 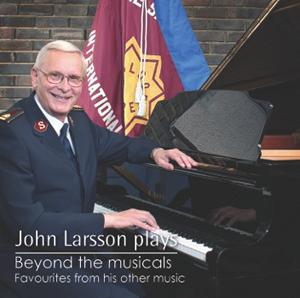 The first in the series of CDs issued by SP&S under the title "John Larsson plays" that features piano arrangements with instrumental backing of songs from the ten Gowans and Larsson musicals. The CD has 28 tracks and comes with a 32-page booklet containing the song lyrics by John Gowans. 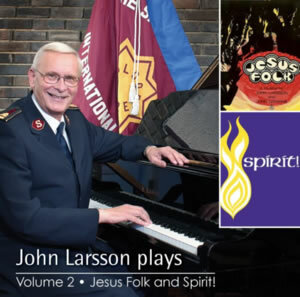 John Larsson plays Jesus Folk and Spirit! The second CD in the series of piano arrangements of songs from the musicals which tell the story of Jesus and his followers and the coming of the Holy Spirit upon the early church. 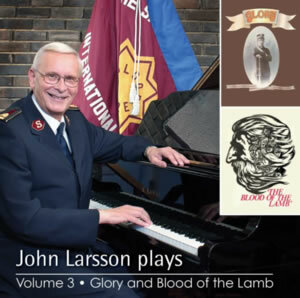 In this third CD in the series based on the musicals, the composer plays songs from two musicals inspired by Salvation Army history - Glory! and The Blood of the Lamb. The first tells of the Army opening in Folkestone, the second pictures William Booth entering into Heaven. 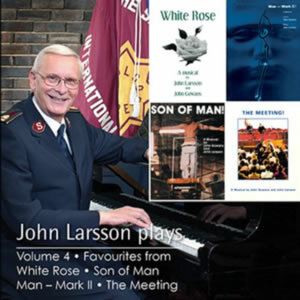 In this fourth and final CD in the series, the composer plays favourites from 'White Rose', 'Son of Man', 'Man Mark II' and 'The Meeting'. After four CDs of music from the Gowans and Larsson musicals, this fifth and final one is the composer's favourites from his other music. The ISB Plays The Music Of John Larsson. 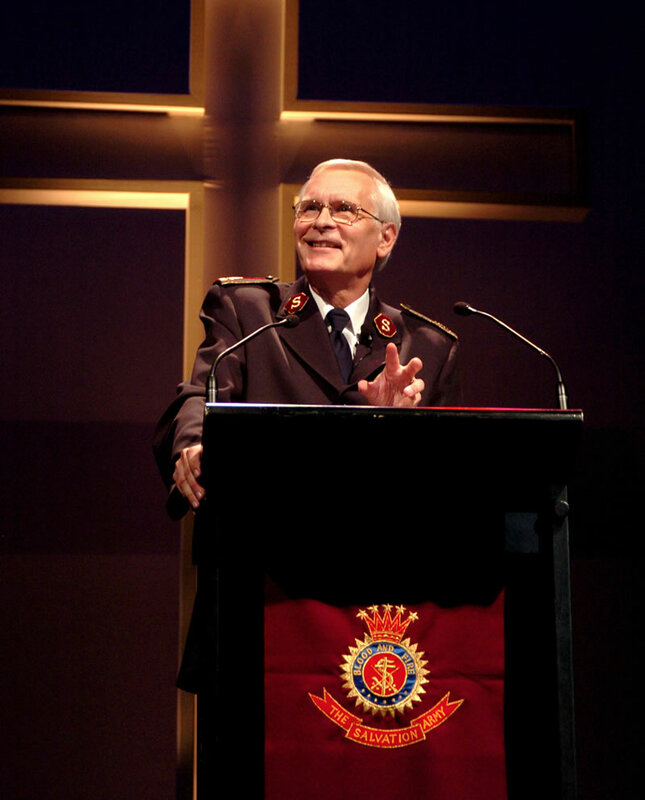 General John Larsson, The Salvation Army's 17th General from 2002 to 2006, was born in Sweden in 1938 to officer parents. He spent his early years in Sweden, Denmark, Chile and Argentina. After being commissioned, his first year as an officer was spent leading a corps in the north of England. He then served for seven years on the International Training College staff before returning to corps appointments. He married Captain Freda Turner in 1969. In 1980 John Larsson was appointed to the South America West Territory as chief secretary. Four years later he was appointed principal of the International Training College. In 1988 he was appointed to International Headquarters as Assistant to the Chief of the Staff, where he was given the task of researching and planning for the separation of the international and United Kingdom national administrations. Starting in 1990 came territorial leadership positions in the United Kingdom with the Republic of Ireland; New Zealand, Fiji and Tonga, and Sweden and Latvia. In 1999 John Larsson was appointed Chief of the Staff to General John Gowans. In 2002, he was elected by the High Council to serve as the next General.